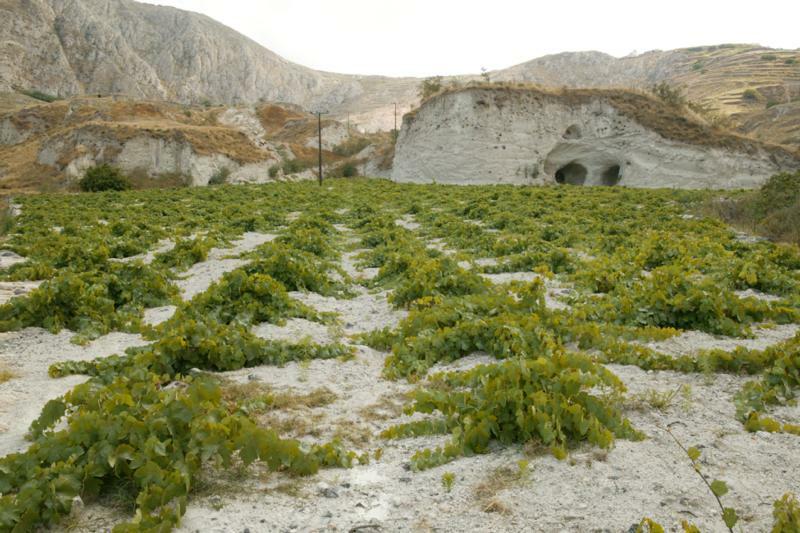 In 1903 George Argyros, owner of a 5 acres vineyard located in Episkopi Gonia Santorini, founded Estate Argyros in order to turn to advantage the grapes produced by his own vineyard. The winery he constructed was a small plant basically equipped and he made his wines according to the traditional Santorinian way. The produced wines were dry white wine (nihteri), dry red wine (brousko) and vinsanto, sold only in the local market. In 1950, the Estate passed to his son, Matthew Argyros, who expanded the vineyard to 15 acres, without though significant changes in the winery. The person who changed dramatically the image of the winery was the founder's grandson Yiannis Argyros who runs the winery since 1974. Yiannis Argyros not only has increased the family vineyard to 65 acres but he has also rebuilt the winery transforming it into a modern plant aiming to combine tradition with modern technology. Yiannis Argyros is a winelover who works very hard to obtain high quality grapes in order to make superior quality wines. And there are many professionals in the Greek wine market who think of Yiannis Argyros as the best Greek winemaker in dry white wines and dessert wines. His efforts to produce high quality wines have been worldwide acknowledged, as indicates the award by the Wine & Spirits Magazine as one of 100 best wineries in the world for 2005 and 2006. Crystal-clear yellow color, distinctively flavored with citrus overtones. The relatively high acidity of Asyrtico gives it a crisp freshness, while the vineyard's extremely low performance offers body, structure and substance.